JetBlue's AYCJ trip took me back to my Alma mater, University of Florida, on October 2, 2010. 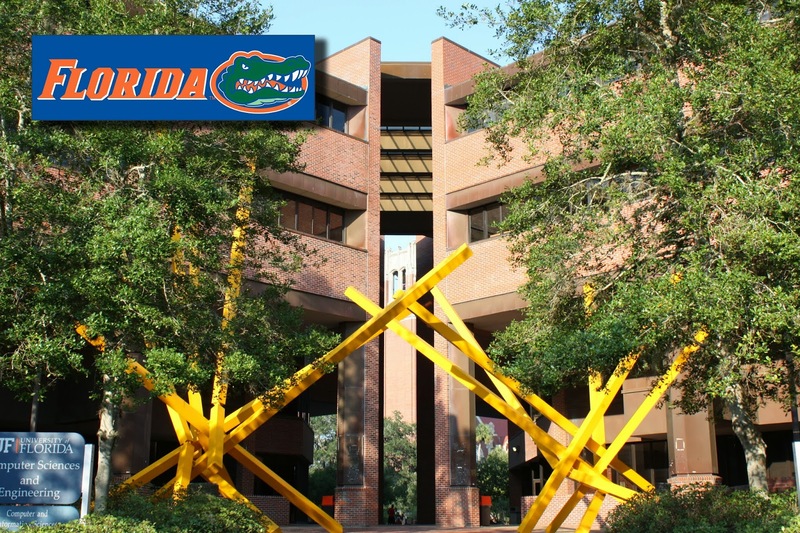 I flew in to Orlando (MCO) and rented a car driving up to Gainesville, Florida where I met some old friends and professors. Postcard US-1919616 to Finland shows the Marston Science Library on the right, where I spent many hours on campus, and the Computer Sciences and Engineering (CSE) building on the right. The bright-yellow sculpture "The Alachua." by artist John Raymond Henry was to highlight the relationship between the school and the host county Alachua. However, the $104,000 artwork was dubbed "French Fries From Hell" upon its debut in the late 1980s. Today, the controversy subsided and people simply referred it as the French Fries.